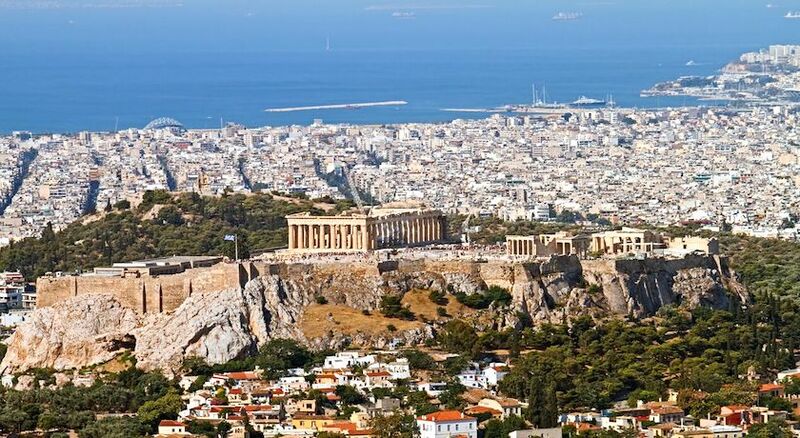 Enjoy the best of both worlds with our Greece twin-centre offer! Enjoy the best of both worlds with our Greece twin-centre offer, starting off with three nights in Santorini, possibly the most romantic and picturesque Greek Island, born from an ancient volcanic eruption, whose stupendous cliffs rise 900 feet from a half-moon caldera which also makes it a fascinating island to explore. Picturesque villages teeter on the rocky sides and whitewashed Cycladic houses perfectly complement the blue domed rooftops. 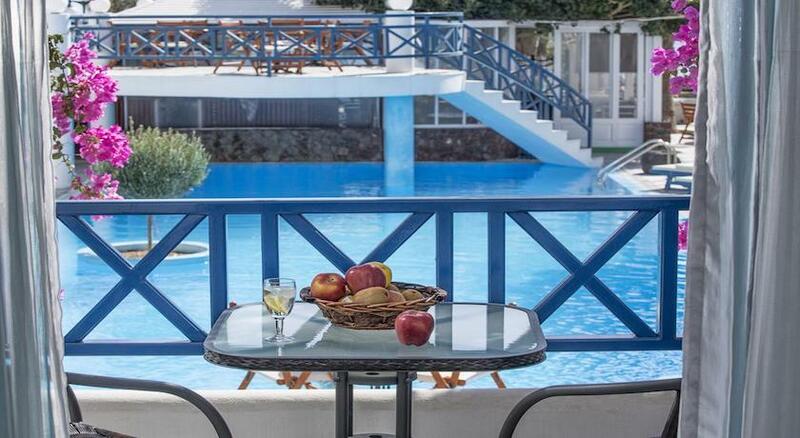 In Santorini, you will be staying at the 4-star Veggera Hotel located on one of Santorini’s most popular beach. 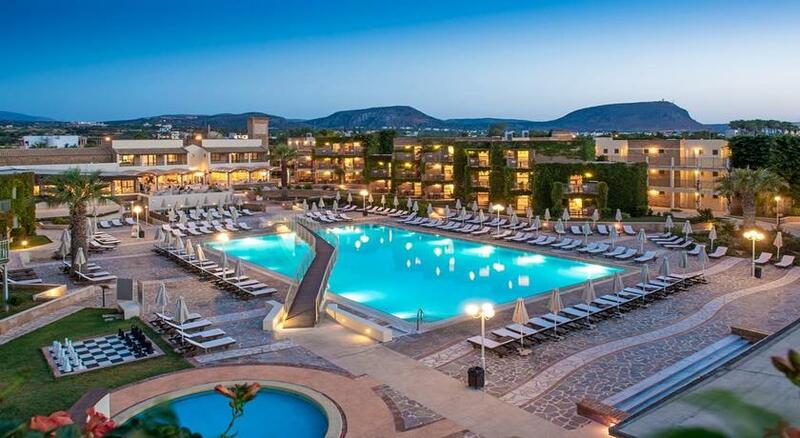 After Santorini your next 4 nights will be spent in Crete at the 5 Star Bella Beach Hotel on an All Inclusive Board Basis. 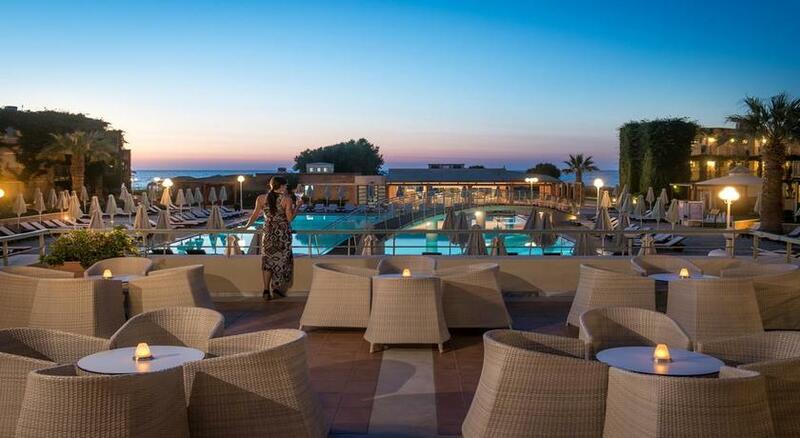 Located on the beautiful beach of the Cretan Sea, the Bella Beach Hotel is a five-star hotel complete with lush gardens, 3 swimming pools, a giant outdoor chess set and a host of other onsite activities available. 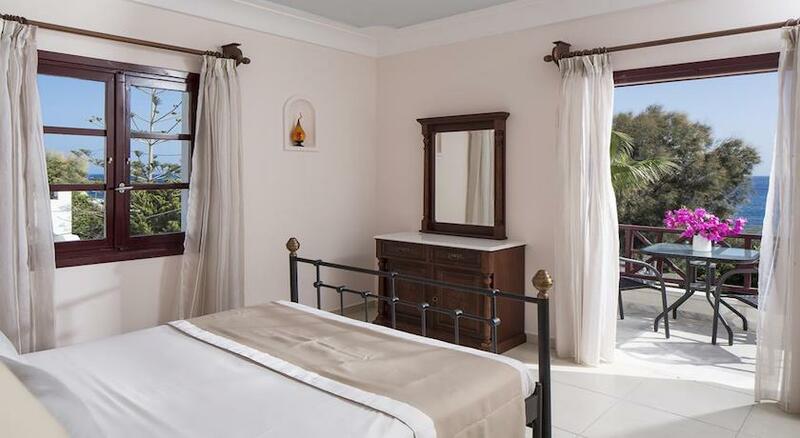 For the more active, why not check out the tennis or basketball courts, the well equipped Fitness Studio, or simply chill out by the waters edge or Wellness Centre, the Bella Beach is a luxury resort covering all holiday aspects. 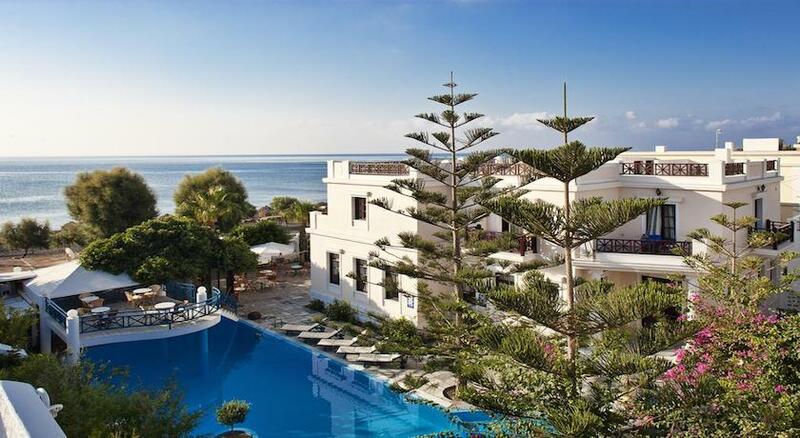 Situated on the northern coast of Crete, near Anissaras, the hotel enjoys a prime location afoot one of the prettiest beaches of the Mediterranean. Two beautiful Greek Islands in one deal! 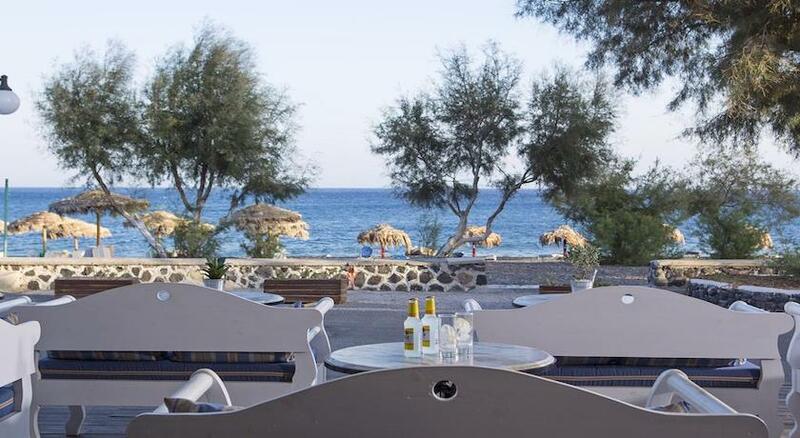 The renowned black beach of Perissa on the Greek Island of Santorini is where you will find the 4-star Veggera Hotel, set next to Profitis Ilias Mountain. 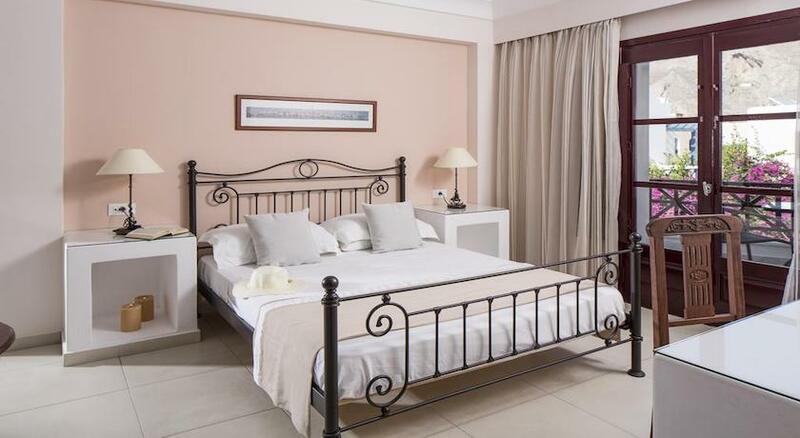 The whitewashed Veggera Hotel, built in neoclassical and Cycladic traditional style, offers 66 rooms, apartments and suites to suit your requirements, whether single, couple or a family group. 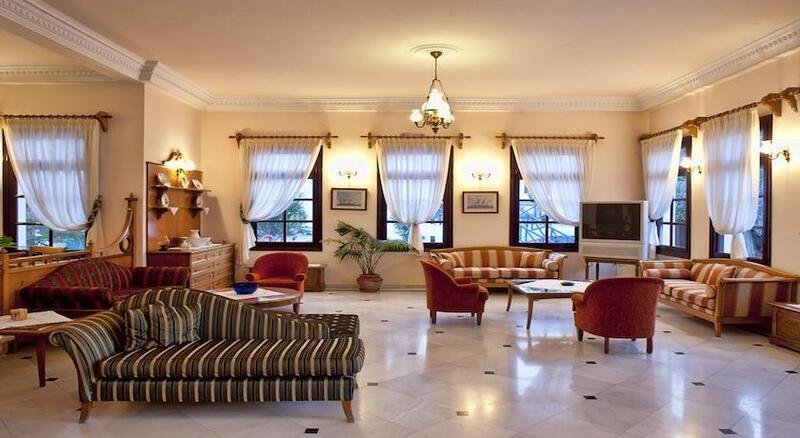 Veggera Hotel, built in neoclassic and Cycladic style, offers traditional rooms and maisonettes featuring satellite TV. 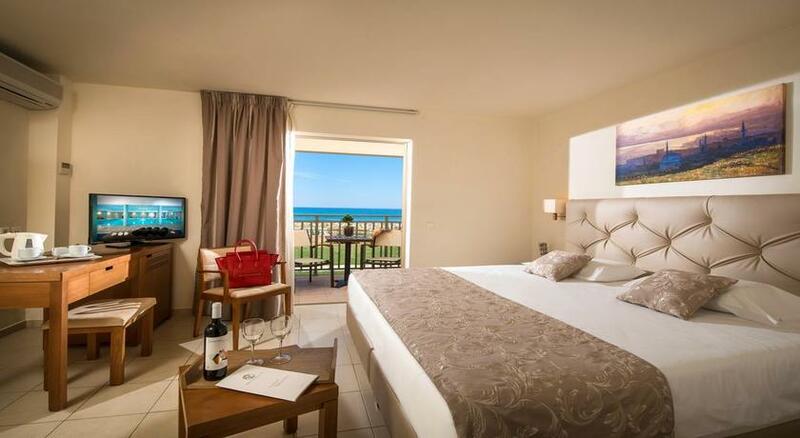 All units enjoy private balcony with views to the sea or the pool or the garden.Guest rooms and suites are built and decorated according to the elegant Mediterranean architecture. 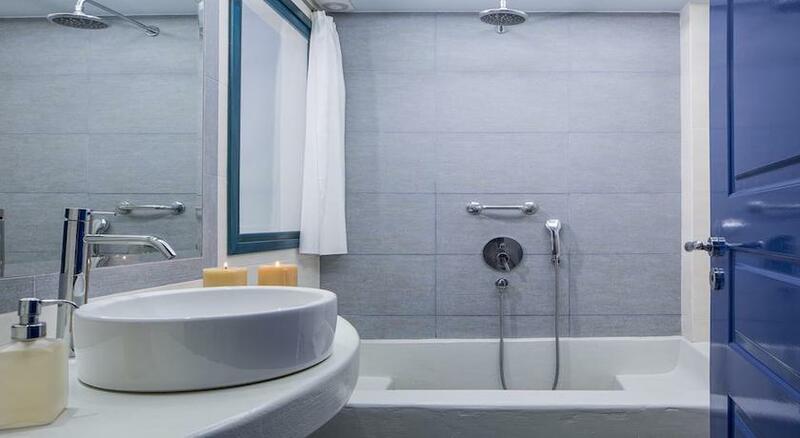 Superior rooms are renovated in 2011 and are equipped with all modern facilities including individual air-condition, flat screen satellite TV, telephone, refrigerator, bathroom, hairdryer and have private balcony or terrace. Guests can spend their morning in the lounge and breakfast area, before heading to the pools or the beach. 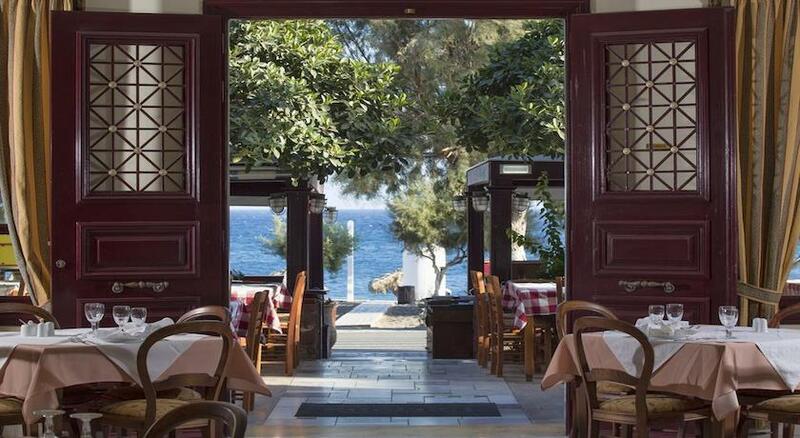 Veggera restaurant offers a quiet environment where guests can enjoy breathtaking views over the Aegean Sea while tasting Greek cuisine. 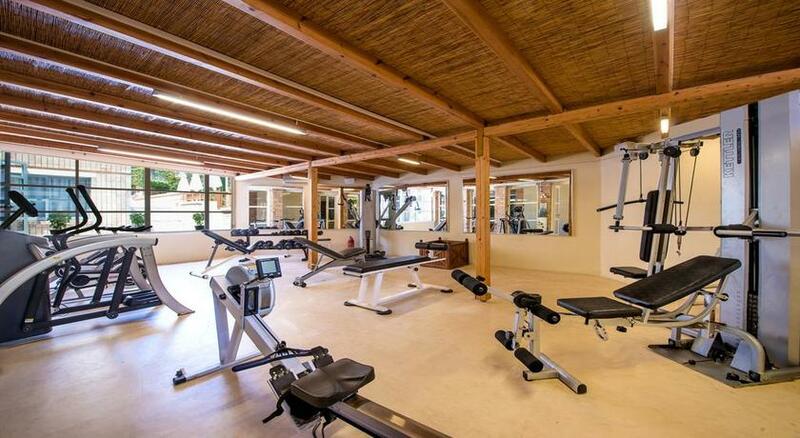 Those who wish to stick to their fitness routine, can make use of the gym. 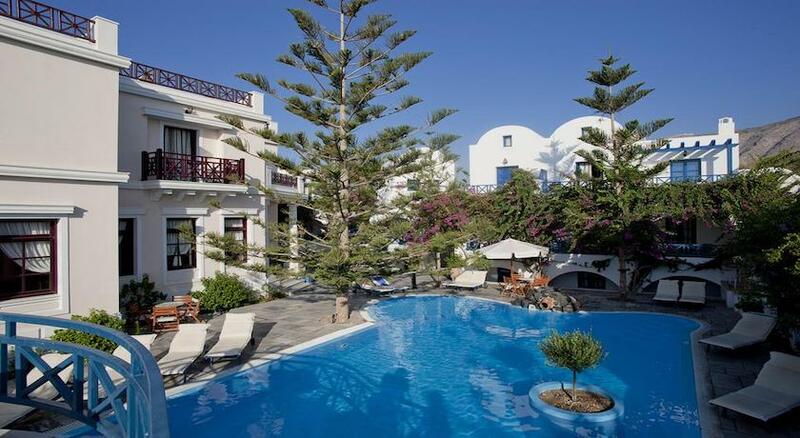 At Veggera Hotel, guests will experience the calm beauty of Santorini and the Greek Island slower pace of life. Bella Beach Hotel is located in a place of timeless beauty with view to the Cretan sea in the centre of the northern coast of Crete. Lying on the sandy beach of Anissaras, the 5-star Bella Beach offers elegant accommodation with views over the Cretan Sea or the complex’s well-kept gardens. 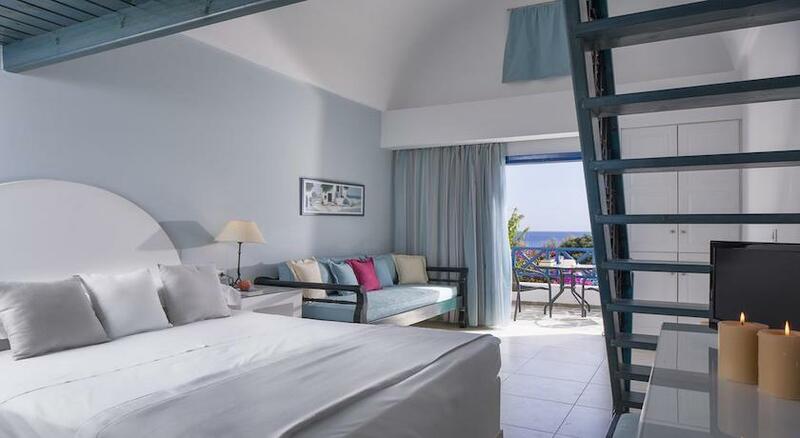 The air-conditioned rooms at Bella Beach are decorated in light olive-green tones and open out to a private balcony. They are equipped with a flat-screen satellite TV, DVD player, mini fridge, free toiletries and hairdryer. 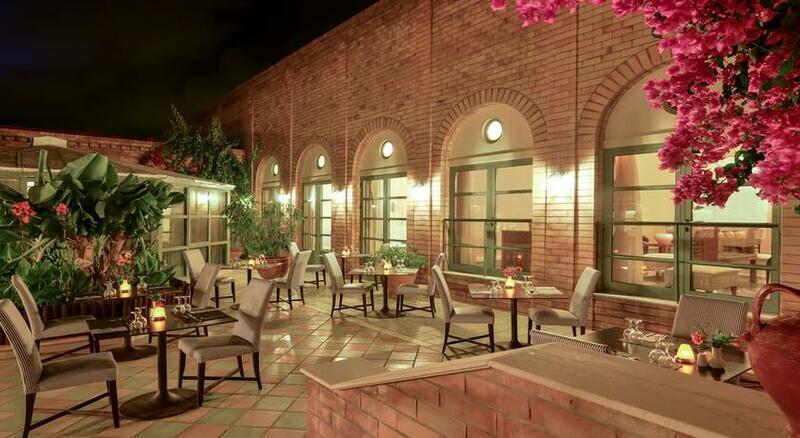 Guests can pamper themselves at the on-site spa centre including an indoor pool, a hot tub and a hammam. The property also features a variety of sports facilities, such as 2 tennis courts, a mini-golf course and a basketball court. 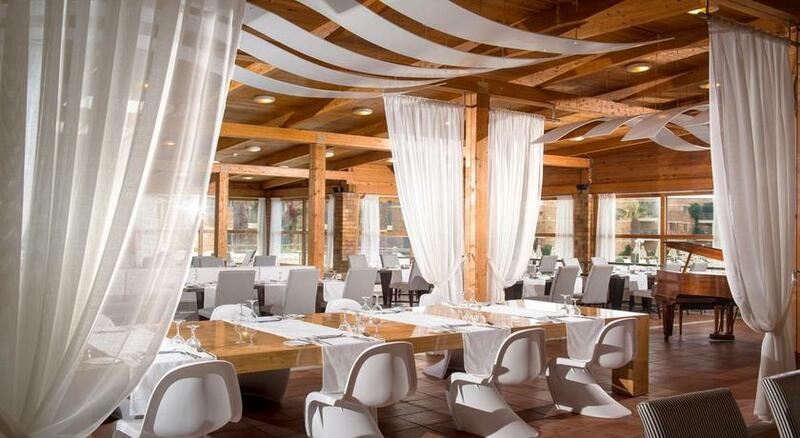 Pergola Restaurant serves breakfast, lunch and dinner in buffet style, while Olive Tree Restaurant prepares Mediterranean dishes a la carte. 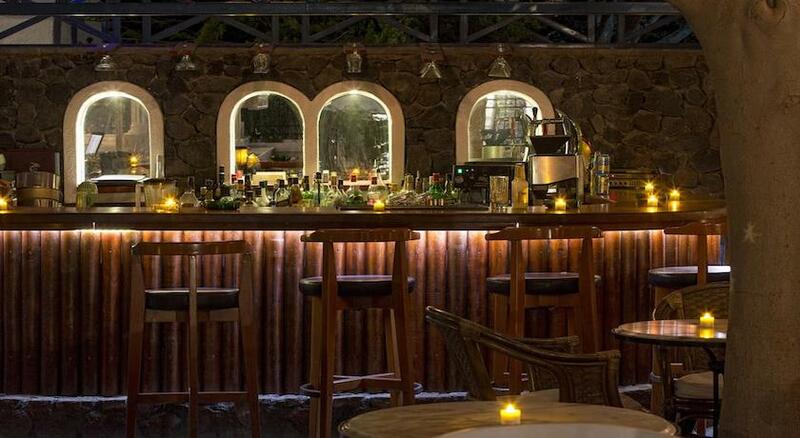 The 3 bars, on the lobby, the beach and by the pool, are ideal for enjoying an exotic cocktail while overlooking the sea. Arrive Santorini and you will be taken to your hotel through shuttle transfer. Day will be at leisure. After breakfast, day will be at leisure. You can either choose to stay back at the hotel or relax at the beautiful beaches of Santorini. After enjoying delicious breakfast, day will be at leisure to explore Santorini's magic scenery. Today after breakfast, take your transfer from Santorini Hotel to the port for high speed sea transfer to Crete. 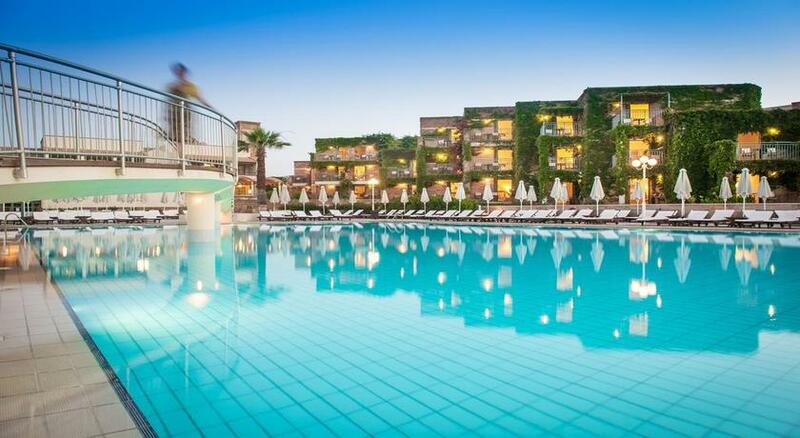 After arriving Crete, you will reach hotel through shuttle transfer. 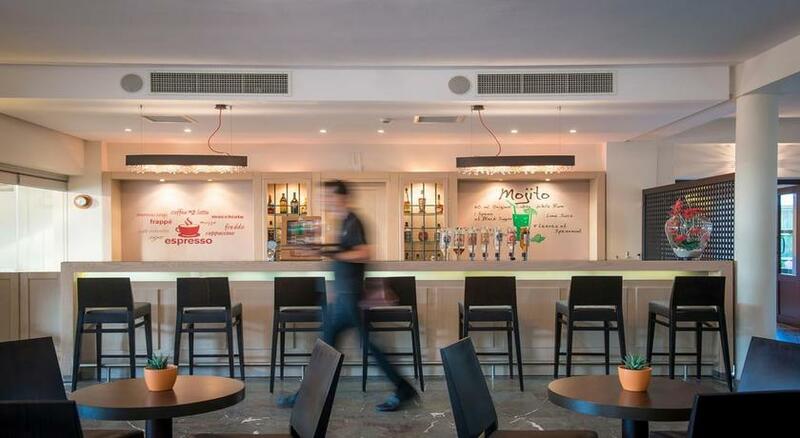 Today will be at leisure and it will be your choice to stay back at the hotel and enjoy your All Inclusive meal plan throughout the day or relax at the beautiful beaches of Crete. Today will be at leisure and you are free to spend the day as you want to. This day will be at leisure again and you can laze around at the beautiful beaches of Crete. It will be end of your trip. Take shuttle transfer from hotel to the airport to catch your flight back to UK.